The new ice-rink in Certaldo. Here in our little bit of the Chianti hills, life generally moves at a relaxed pace, the most exciting and busiest time of day being morning coffee at a local bar. 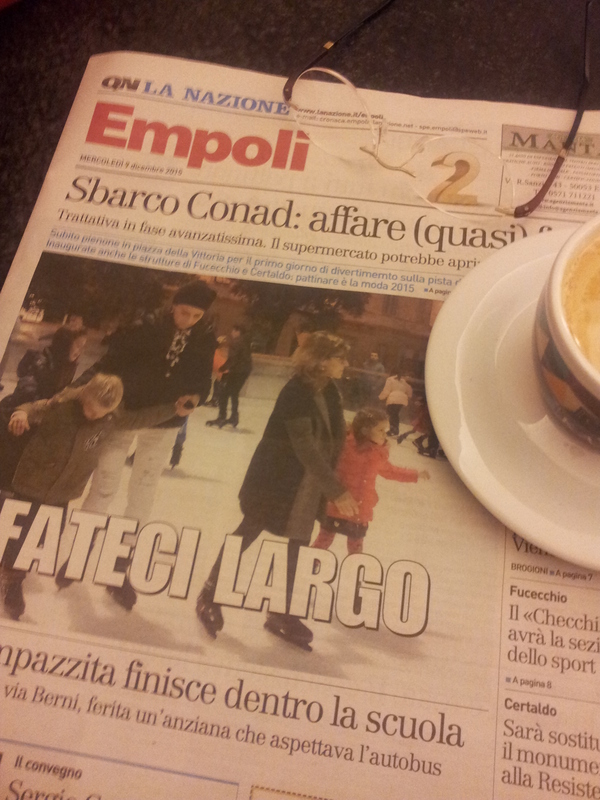 Down in Certaldo last Monday, I heard that a new Ice-rink had opened in the Piazza next to the post office. I was in the central piazza at the time reading the papers and as the rink did not open until 3pm, I elected not to go and visit it there and then. Anyway, it is the evenings that offer the most interesting spectacles, what with the Christmas lights being on and all that. But I did find a picture in the local paper for you! My grandchildren love the ice-rinks here and for years they have been going to Siena, where you will find a huge one. It seems that most cities and towns are now having ice-rinks over the festive period, which is really great. Bianco the big white puppy. 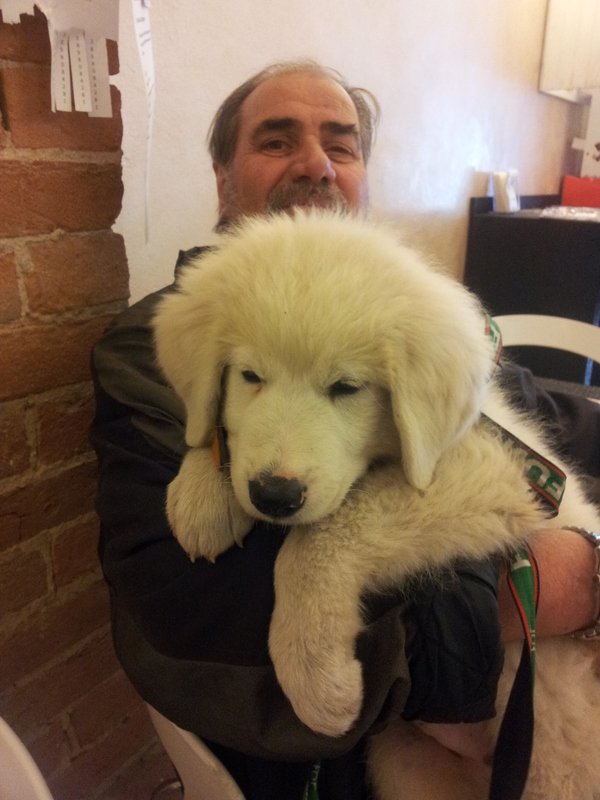 In Bar Solferino, Bianco the big white puppy was fidgeting on his owner’s lap. Only three months old but already enormous and likely to knock everything flying if put down on the floor! A little later he and his owner were outside and Bianco obviously needed something to chew as he was having a go at one of the wooden benches! We have very fond memories of our dogs chewing through the furniture and still have a tooth marked bamboo coffee table in our sitting room. Now we have grand-dogs, and always carry dog chews in the car, so we gave one to Bianco. His owner was more than grateful as he could now spend the next hour or so watching the world go by without having to occupy the teething puppy! Bless. Winter sun in the valley below. On returning to our little villa, the winter sun had turned the countryside into a gold and bronze wonderland, it was enough to take one’s breath away. It is difficult to really capture the colours without a good camera, but I just had to try to send you some pictures that would demonstrate this. 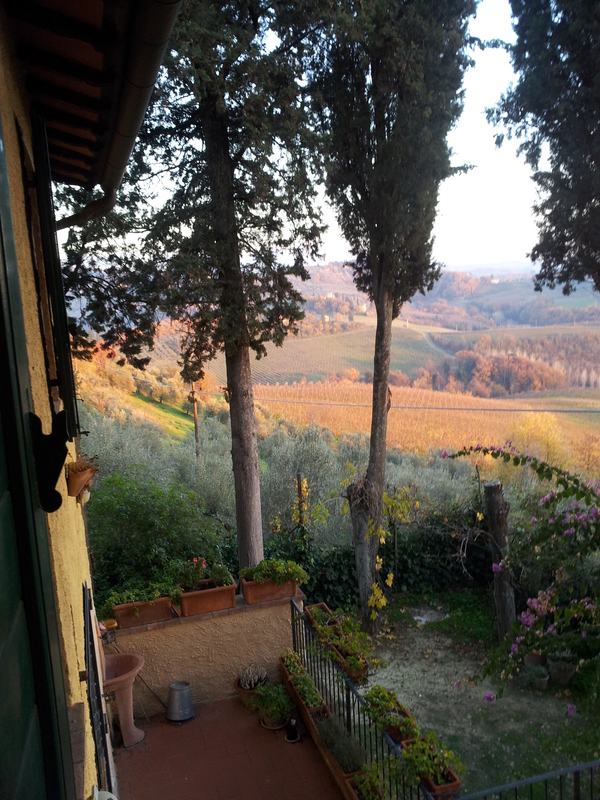 All I can say is, you will have to visit Tuscany in the winter to really appreciate it. Winter sun on our terrace. 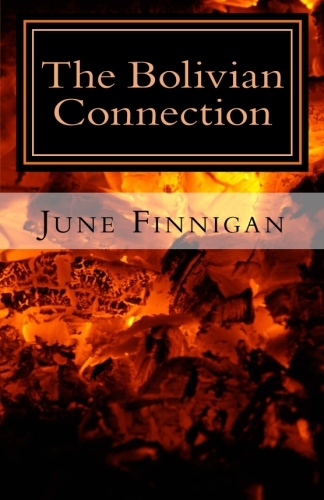 Naturally, it is the time of year for log fires. It is the one thing that makes the dark evenings tolerable. 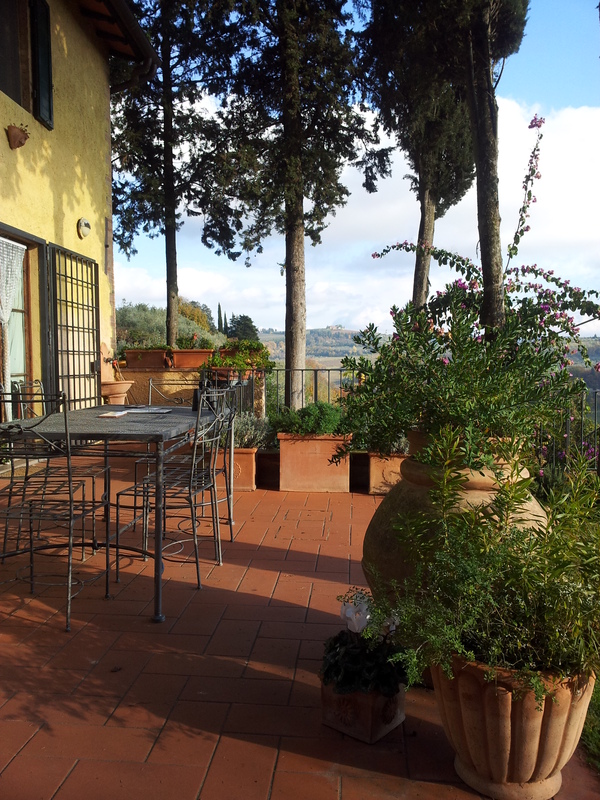 We, like most Tuscans, live and eat outside for the best part of the year. If there is no cold wind and the sun is shining, you will even find us eating Christmas lunch in the garden! 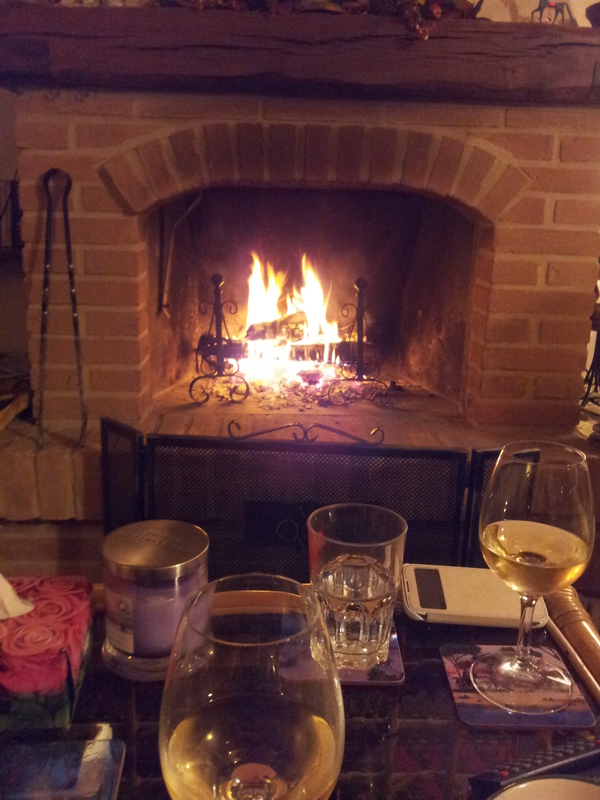 But snuggling up in front of the fire is so lovely and cosy. Cosied up to the log fire. Last Thursday, my daughter and I took time out from our busy schedules to meet for lunch in San Gimingiano, the city of towers. We had the most delicious gluten-free spaghetti I have ever tasted and now you are going to ask me where we went and I have completely forgotten the name of the ristorante. It was in the Piazza Sant Agostino, and as there is only one ristorante there, I’m sure you will find it! Next weekend we will share our Christmas tree and decor with you, just so you know that we do enjoy the festive season in much the same way as we did in England all those years ago. 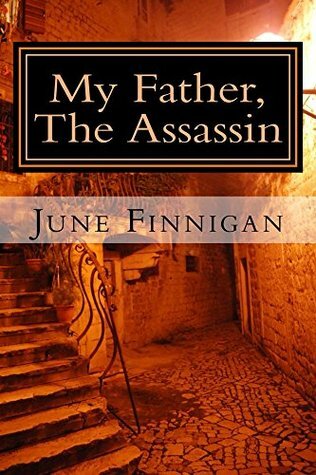 The Italians celebrate things in a rather more religious way, but the feasting and family get togethers are very similar to our own. I’m really looking forward to it! Send me pictures of your trees! My Goodness look at the time! I must go and make myself beautiful as we are off to Ristorante C’era Una Volta for lunch. Grilled sliced polenta topped with cannelloni beans and swiss chard will go down really well, perhaps followed by tagliatelle and white truffles. Yummy…..
Have a great week and do drop me a line.